Aqua Leisure Places in LOOP-LOC Luxury Liner Awards! We’re proud to accept our 3rd place finish in the recent LOOP-LOC Luxury Liner Awards! 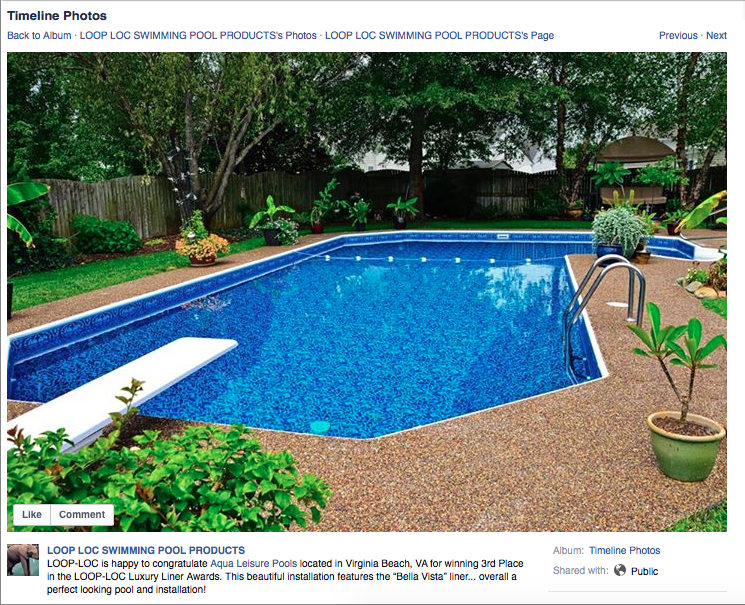 Call for an estimate to get your pool liner redone in time for summer!